GALION — The GriefShare grief recovery support group will meet at St. Paul United Methodist Church, 746 Cherry St. Galion on Monday evening Oct. 8 from 6:30-8 p.m. Whether your loss is recent or not so recent, this 13 week, Christ-centered, Bible-based program is designed to offer encouragement, comfort and help in grieving the loss your spouse, child, parent, sibling, another family member or friend. The program offers you the opportunity to be around people who understand what you are feeling and, with God’s help, to bring you peace. For more information, questions or to register, please call Kathy Price at 419-468-7977 or Mary Carney at 419-845-3195. GALION — Squire Parsons, a nationally known singer/songwriter will be in concert at Southview Baptist Church in Galion at 6 p.m. Friday, Oct. 12. 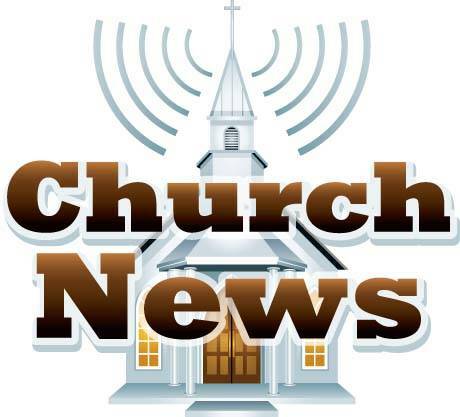 The church is at 6904 Crawford/Morrow County Line Road. Squire is the author of “Sweet Beulah Land” and many others. He is the recipient of many awards in the Gospel Music field. He has been part of the popular Gather Homecoming series. There will be no admission charge, a free will offering will be received to cover his expenses. The public is invited. BUCYRUS — Tom Ryan, head wrestling coach at The Ohio State University, will be the guest speaker for the Men’s Community Breakfast on Wednesday, Oct. 10, 2018 at 7 a.m. in the cafeteria at Bucyrus Community Hospital. Women also are welcome to attend. EDISON — Canaan United Methodist Church, 2006 County Road 59, wil have its fall bazaar and bake sale Oct. 13 from 9 a.m. to 3 p.m. Stop by for lunch and pick up some home-made goods. For sale will be vintage jewery, crocheted items, jams and jellies, scrub toys, jigsaw puzzles, afghans and more.